Free Radicals = Bad; Antioxidants = Good. Free radicals are known to be responsible for age related health problems, cancer, and damage to the brain, immune system, cardiovascular system, and skin/other organs. An all too common free radical related ailment comes in the form of mercury poisoning. One way people get this is from “silver” (mercury-amalgram) fillings used by their dentists. If you have silver fillings it’s recommended that you find a dentist who performs safe amalgam removal procedures. As a preventative measure, check with a dentist to make sure they are a mercury-free dental practice before scheduling a visit. 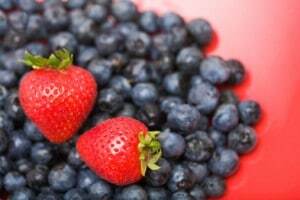 Antioxidants job is to hinder the oxidation effects of free radicals. They are comprised of different vitamins, minerals, and multi-purpose substances. Common antioxidants are vitamins A, C, and E, selenium, copper, manganese, beta-carotene, lutein, and lycopene (i). The roles of each antioxidant are each targeted toward combating different types of free radical damage. The health benefits of antioxidants range from preventing Alzheimer’s disease to increasing immune system efficiency and preventing free radical damage associated with certain cancers. Some antioxidants are naturally formed in our bodies. Other antioxidants can be ingested in a variety of ways. Supplements in the forms of pills and liquids contain high doses of specific antioxidants. Although it is easy to take in antioxidants through supplement form, professionals believe whole natural foods are the best option. Not only do whole foods contain thousands of antioxidants, but researchers believe that the antioxidants that you find in food form a direct network with the our own cellular and genetic mechanisms (ii). In addition to fighting free radical damages, you can also make certain lifestyle changes to prevent certain free radicals from entering and destroying your cells. Certain measures you can take include stopping smoking, avoiding over training while exercising, and wearing sunscreen when going outside. As with any dietary or lifestyle change, it is recommended that you speak with a licenses healthcare professional before making these changes. (iii) SOURCE: The Journal of Agricultural and Food Chemistry, 9th edition, June 2004. Ronald L. Prior, PhD, chemist and nutritionist, USDA’s Arkansas Children’s Nutrition Center in Little Rock, Ark.